I met Imani Coppola the same week I met Little Jackie. And then I realized that the two were, essentially, the same person. Coppola joined forces with Adam Pallin in 2008 to form the group Little Jackie, and eventually released the sublime, tongue-in-cheek, head-boppin’ The Stoop. After their single “The World Should Revolve Around Me” was picked up as theme song for VH1’s New York Goes to Hollywood, Coppola seemed to have cemented her place as a true song-placing diva (previously she had gotten “Raindrops From the Sun (Hey Hey Hey)” on instant hit-maker Grey’s Anatomy). We were waiting for more. And wait we did. 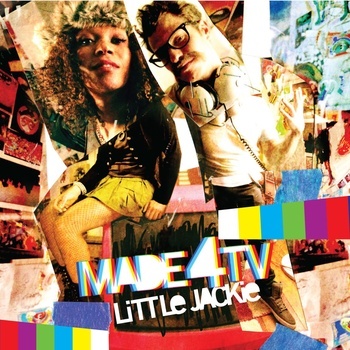 After silently dropping a free online-only album in 2010, Little Jackie’s back with an independent release Made4TV. It’s embedded below. Get to listening.